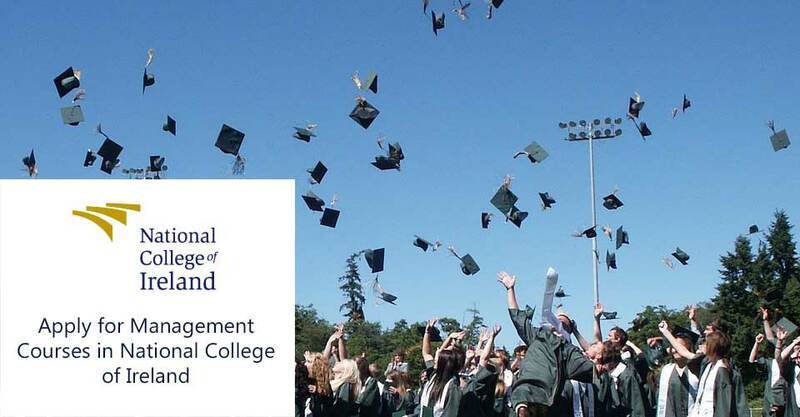 Apply for Management Courses in National College of Ireland !!!! This intensive course has been developed in consultation with the Chartered Institute of Personnel and Development (CIPD). The programme aims to develop an in-depth understanding of the core disciplines in the area of human resources (HR). It recognises that HR must operate in challenging and dynamic business environments that are constantly changing and seeks to enable students to deliver effective business solutions that optimise the people resources of their organisation. The MSc in International Business has been specifically designed for those wishing to gain deeper knowledge of the international business environment as both employees or as owner/managers of businesses operating internationally. The requirement for managers to think globally but act locally is vital to success. An understanding of the international environment in which organisations are now situated cannot be over-emphasised. The MSc in Management has been developed to satisfy the demand for courses which combine a strong theoretical foundation with a firm focus on practical application. You will be exposed to the most current schools of thought in disciplines such as international business, finance, marketing, entrepreneurship and strategy. The tuition fees of all these 3 courses is €14,500. Scholarship will be provided of €4,000 so fees will be €10,500. All these courses runs over 1 year; 2 semesters and a final dissertation. Applicants are required to hold a minimum of 55 % in the Bachelors degree.